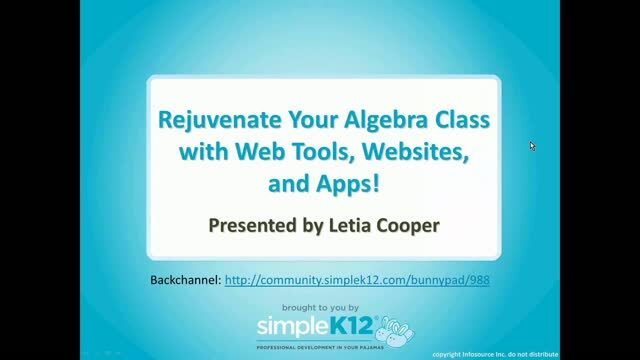 Rejuvenate Your Algebra Class with Web Tools, Websites, and Apps! 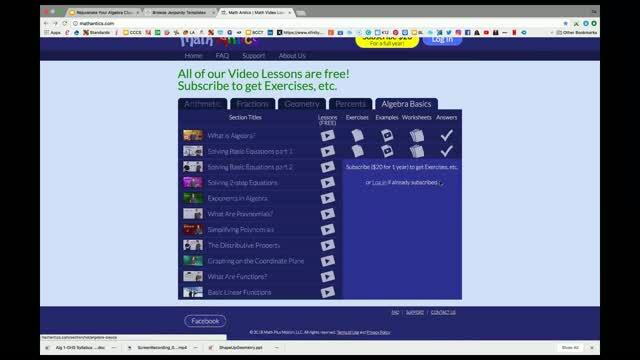 Are you tired of the same old Algebra resources? Would you like access to standards-based, interactive lessons to rejuvenate your lesson plans and engage your students? In this session, Letia Cooper will share a collection of resources that will assist Algebra teachers in increasing student achievement and provide lesson plans tied to the Common Core standards. 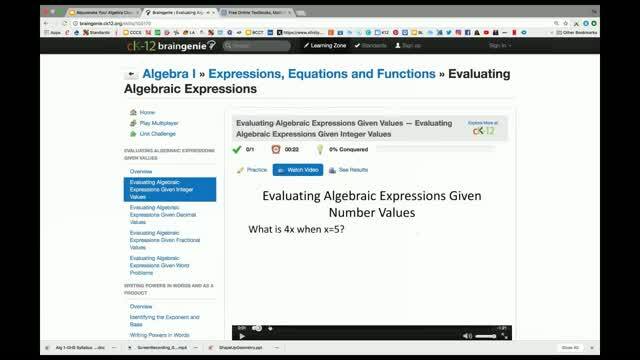 Come discover a variety of Algebra Web tools and apps to enhance your instruction and improve student learning! What a great presentation fills with many useful apps! Thank you so much for sharing! Great resources!! I cannot wait to try them and share them with my colleagues! Excited about these new resources. 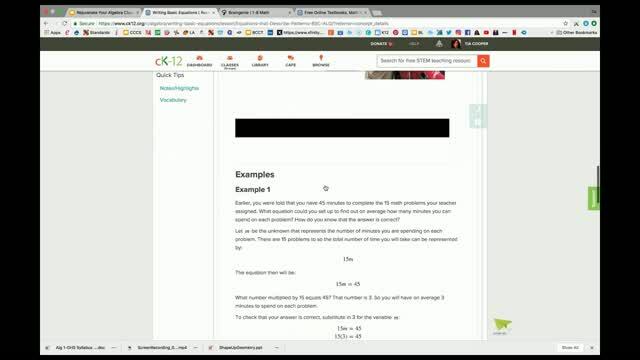 I love Khan academy but I am excited to try Braingenie. 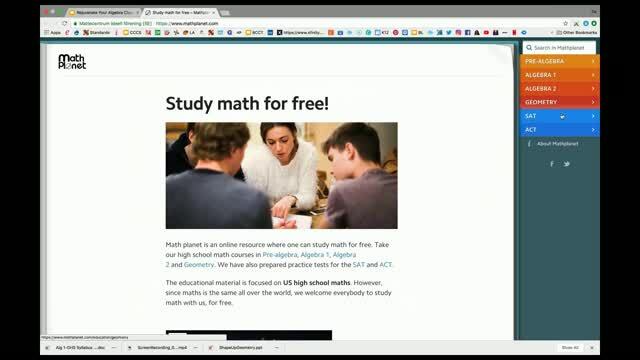 It is so hard to find things about math.